Bienvenido Tantoco III (Donnie) is the President of Rustans Supercenters Inc. where he spearheaded the conceptualization and development of the Philippines’ first ever hypermarket – ‘Shopwise’.Prior to handling Rustans Supercenters, Donnie was the Vice President for Corporate Planning of Rustan Commercial Corporation back in 1995 where he was responsible for the company’s strategic planning, business development, diversification projects, and joint ventures. 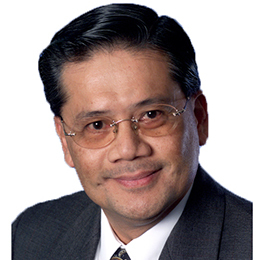 He helped institutionalize strategic planning systems, corporate governance, and other policies to professionalize the family business and successfully obtained the master franchise of Starbucks for the Rustan Group. Donnie was also the Executive Vice President & General Manager for Royal Duty Free Shops, Inc. (RDFS) and had extensive experience working abroad particularly for General Mills, Inc. in Minnesota, USA , for Pepsi Cola Company in Somers, New York USA, and for Bondview Resources (HK) Limited in Hongkong.Donnie was recognized as one of The Outstanding Young Men (TOYM) for Business Entrepreneurship in 2004. Donnie’s affiliation with elite corporate organizations includes the Intercontinental Group of Department Stores (IGDS) where he is the current President, the Philippine Retailers Association where he was the past president and is a member of the Young Presidents’ Organization (YPO). Donnie graduated with a Bachelor of Arts Degree in Economics from Connecticut College USA and finished his Master of Management Degree with majors in Marketing, Accounting, and Organizational Behavior in J.L. Kellogg Graduate School of Management, Northwestern University in Illinois, USA. Tina is the General Manager of Suy Sing Commercial Corporation, the Philippines’ leading grocery distribution company.She led the company’s continuous growth and success through firm commitment to customer service excellence. Smooth Success, as the name Suy Sing means, is to be shared with customers. Thus, the prime objective of each investment, in people, in technology and in facilities, is to help retailers grow their business.Suy Sing offers a most extensive range of saleable products at Everyday Low Prices. Guided by experienced tele-marketers, retailers enjoy the sheer convenience of buying all their grocery store requirements, one phone call away. Accessible pick-up centers, plus fast and reliable delivery, ensure retailers of stock availability, whenever they need it. Exciting promotions add value to purchases. Link-ups with banks and credit card companies ensure safe and easy payment transactions. Today, Suy Sing launches another first in the Philippines’ grocery distribution history–Suy Sing Online, is a B2B site that provides all the key Suy Sing benefits, 24 hours a day, 7 days a week, one click away. With Suy Sing, the Filipino retailers can save time, concentrate on other areas of business management and earn more. 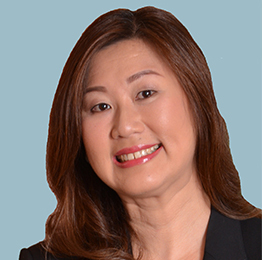 Tina received her Bachelor of Arts Degree in Interdisciplinary Studies from Ateneo de Manila University, and is currently a board member of Efficient Consumer Response (ECR) Philippines and holds the membership chair at the Young Presidents’ Organization (YPO). President and General Manager Gardenia Bakeries Phil, Inc.
Simplicio P. Umali, Jr. (Jun) is the President and General Manager of Gardenia Bakeries Philippines, Inc. and concurrently the President of Philfoods Fresh-Baked Products Inc. Gardenia Bakeries Philippines, Inc., founded in 1997, operates as a bread manufacturing company that produces loaves, buns and toasts, and snack cakes. The company sells its products through supermarkets, groceries, convenience, and variety stores. It operates in Singapore, Malaysia, Thailand, and other parts of Asia.Before taking over the helm of Gardenia, Jun served as the President and Chief Executive Officer of Dutch Boy (Philippines) Inc. Prior to that, he was the Country Manager of Hoechst Pharmaceuticals initially serving as its Marketing Director and was the Marketing Manager of Hoechst Far East Marketing Corporation. He also worked with Smith Kline Corporation, Smith Bell and Co’s (SB&C) Bell Carpets Inc. and joined the finance division of Procter & Gamble immediately upon graduating from college. Jun is also teaching marketing subjects at the De La Salle University’s College of St. Benilde for more than 13 years now. Jun’s affiliation with elite corporate organizations includes the Makati Business Club, Management Association of the Philippines, Employers Confederation of the Philippines, the Philippine Chamber of Commerce and Industry, Wallace Business Forum and the Rotary Club of Alabang. 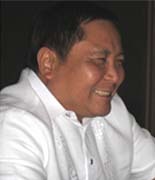 Moreover, he is the current President of the Laguna International Industrial Park Association, Inc. (LIIPAI) and was the immediate past President of the Philippine Baking Industry Group (PhilBaking). Jun is a graduate of Business Administration (majored both in Finance and Marketing) and holds a Master of Business Administration from the University of the Philippines.